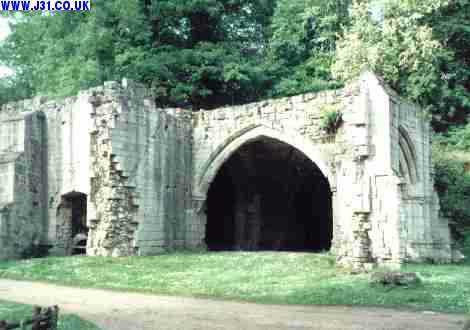 The remains of Roche Abbey in 2010. It's actually a couple of miles from Laughton en le Morthen in a limestone valley. There's a nice walk to it from Laughton (see link), or you can drive there and use its visitor centre car park. 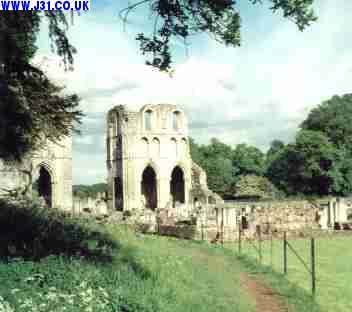 The abbey was destroyed during Henry VIII's reformation circa 1530. Pictures supplied by Duncan See also the local churches pages, many of which have elements over 900 years old, and which survived the reformation.